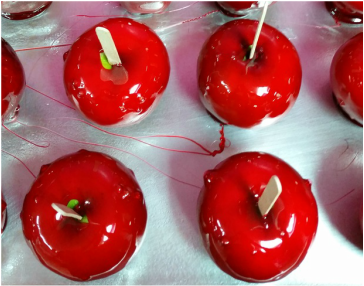 These are by far the most popular candy apples we have. There is something about keeping it simple and following tradition. These are available with Granny Smith or Red Delicious apples. We also have this in different flavors. This is a favorite among the locals but is sought after through-out Texas. Our special blend of Chamoy and, well I can't give it away, but it has a sweet, not so sweet taste. You will have to try one to know. Available with Granny Smith or Red Delicious. If you're into sour then you will love this apple. In my opinion, it goes great with a beer. Available with Granny Smith or Red Delicious. Also in different flavors. ​Watermelon, Pineapple, Cherry, Grape, Strawberry, Tropical Punch, Lemon, Pina Colada.